After running through the league over the regular season, the Single Dads come into the playoffs as the #1 seed, getting a bye in the 1st round. They were happy to see Denver Donuts in the second round, seeing that they had lost to them in week six and wanted revenge. The Dads were able to put the Donuts away late to advance in a game that came down to who could make their two point conversions. 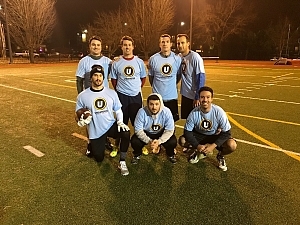 In the championship, the Dads were definitely better suited for the weather, as the driving rain and the Dads defense shut down Going Deep to pick up another championship.